Fred, that is a lot of homes that have already sold this year in Oak Bay, and know it is a wonderful location to live! I like the looks of Oak Bay. I hope you will finish the year with many more sales there. Fred Carver The real estate update report you prepared is fantastic for buyers and sellers alike! Thank you for sharing! Fred, I remember driving through Oak Bay and saying " I can live here most definitely! "...stunning neighborhood and potential sellers must call you for direction. Hi Ginny Gorman I can see you living in Oak Bay, a great neighbourhood of nice homes. Cheers, look forward to seeing in Oak Bay. Hi Joan Cox Oak Bay Home sales are way ahead of last year. I have listing coming up in a few weeks in South Oak Bay. Cheers, thanks for driving through Oak Bay when you were here, Ginny Gorman says she could live here..
Hi Debbie Reynolds That would be great. Hi Jim Crawford Thanks!. I work with both Oak Bay home buyers and Sellers and I know they would like to know what's happening with Oak Bay Real Estate. Hi Fred, beautiful photos from Oak Bay. 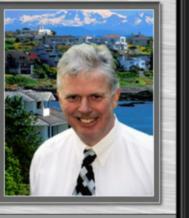 Those looking to buy or sell a home in Victoria BC would be wise to contact you. Hi Beth Atalay Thanks, Oak Bay is a popular neighbourhood to live and rise a family. Fred, great to hear you market is on fire, and hope you are enjoying your weekend! Hi Joan Cox It always depends where you are standing..ha, with a hot listing or a motivated Buyer.